Three people convicted of the manslaughter of 6 children in a house fire in Derby in May last year, have been sentenced. Michael and Mairead Philpott and Paul Mosley were sentenced by Judge Mrs Justice Kate Thirlwall at Nottingham Crown Court today (Thursday, April 4th). Michael Philpott was sentenced to life and will serve a minimum of 15 years before being considered for parole. Mairead Philpott and Paul Mosley were both jailed for 17 years. Speaking after the sentencing, Detective Superintendent Kate Meynell, the senior investigating officer in the case, said: "Six innocent children died as a result of the actions of their parents, the very people who should have protected them against danger. "The Philpotts and Paul Mosley showed no regard for the safety of the children and since the fire, have shown no remorse for their actions. "They have lied throughout the investigation and court case. There were plenty of opportunities to admit their guilt but they never did and persisted with their denials. "This has been an incredibly tragic case to investigate and today's sentences bring this difficult inquiry to a close." Derbyshire Fire and Rescue Service who attended on the night of the fire, have also released a statement today saying, "The events at Victory Road in Derby in May 2012 that resulted in the deaths of John, Jayden, Jesse, Jack, Jade and Duwayne Philpott reinforce the resolve of Derbyshire Fire & Rescue Service to continue to work tirelessly to prevent fires and the tragic effects of them. "Prevention activity and raising awareness of the dangers of fire have been an integral part of the work of the Service for many years, but still fires occur. The conclusion of the criminal court case does not bring this incident to a close for Derbyshire Fire & Rescue Service as further efforts are made to prevent similar such occurrences in the future. "The deaths of the six children in Victory Road, followed the deaths of four children at a house fire in Hulland Ward in 2011 and two children in Buxton in 2010, as well as 14 other fire deaths in dwellings across Derbyshire since April 2010. 226 people have died in house fires across the United Kingdom in the last year - that cannot be allowed to continue." Chief Fire Officer/Chief Executive of Derbyshire Fire & Rescue Service, Sean Frayne commented: "This has been a devastating incident with an outcome that is truly tragic. The events of the 11th May 2012 and the months that have followed, will live in the memory of everyone at Derbyshire Fire & Rescue Service for many years to come. I would like to take this opportunity to extend the sympathy of the Service to the family and friends of the six children. "I am extremely proud of the work of all of the emergency Services at the time of the fire and in particular that of the firefighters who battled to save the lives of the young children. "I am also proud to have received complimentary feedback about Derbyshire Fire & Rescue Service personnel who were called upon to give evidence at the trial. No firefighter enters the Fire and Rescue Service with the expectation that they will encounter such circumstances and need to give evidence in a criminal court. However, it is clear that all involved were very professional." Sean Frayne stated further: "I am convinced that the benefit of domestic sprinkler systems is still not fully realised. When it is, similar incidents in the future, irrespective of how a fire is started, will have a far different outcome. The loss of such young lives in this instance is extremely sad and has affected family, friends, the entire community and has been closely followed on a national basis. It will be even more tragic if this event does not produce some impetus to prevent further incidents and their outcomes." 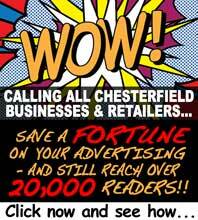 It is the view of Derbyshire Fire & Rescue Service that fire safety is not its sole responsibility - but the responsibility of many partners, housing providers, property developers, caring agencies and members of the community. Awareness of the need for fire prevention, the effects of fire when it does occur and the aftermath of fire need to be more fully understood. Tribute is paid to those partners and individuals in communities that have acknowledged this threat and taken measures to assist prevention activity and in particular those that are supporting the fitting of domestic sprinklers. Nearly all District Councils and/or their social housing providers across Derbyshire, including Derby City and Derby Homes, who have been particularly supportive, have agreed to a match funding initiative proposed by Derbyshire Fire & Rescue Service to ensure that the homes of the most vulnerable are protected by domestic sprinklers. Smoke detectors will give an early alert of a fire and enable those that are able to escape, unless they are cut off by the fire. Domestic sprinklers will not only alert the occupants of the premises that a fire has started but will also tackle the fire, prevent it from spreading and even extinguish the fire. 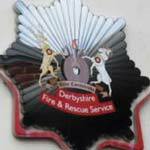 Derbyshire Fire & Rescue Service will continue to work tirelessly to prevent all instances of fire death within Derbyshire. The tragic events at Victory Road in Derby reinforce the need for positive steps to be taken to raise awareness of domestic sprinklers and the benefits they can bring.